The third in a four-part series. The special session of the General Conference convenes in St. Louis, Missouri February 23-26, 2019. 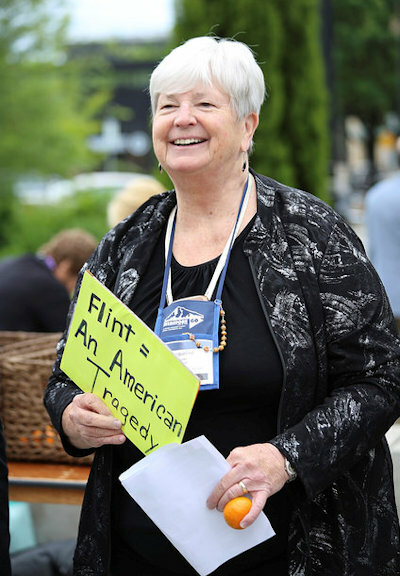 Michigan Conference delegate Jackie Euper is praying and preparing. 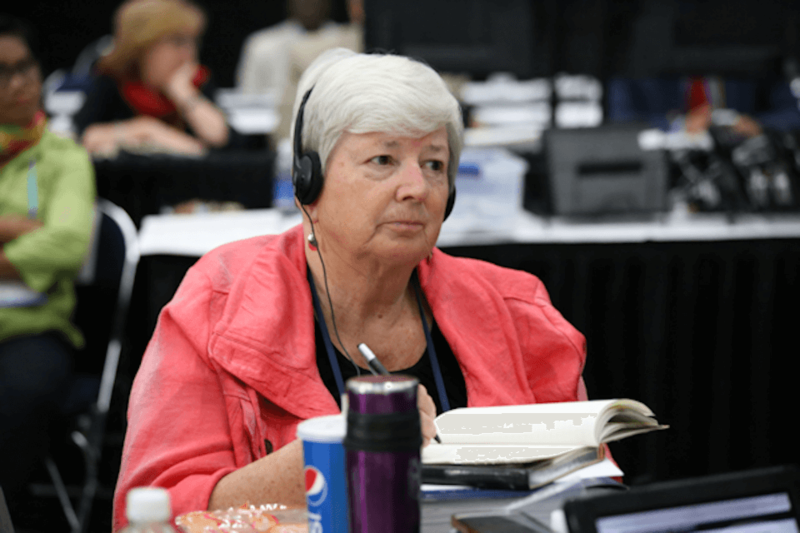 This is the last article of a four-part series that focuses on members of the Michigan Conference delegation to the February 2019 Special Session of the General Conference of The United Methodist Church. We are featuring preparations being made by the first four Michigan United Methodists, two clergy and two laity, elected for the 2016 General Conference, who also will be attending the meeting in St. Louis to address human sexuality. This article features laywoman Jackie Euper. Veteran Michigan delegate Jackie Euper has been preparing for General Conference sessions for three decades but she said the upcoming February Special Session is filled with unknowns. A long-time active member of United Methodist Women, Euper recently completed her tenure on the national board of directors of Justice for our Neighbors. She and her husband, the Rev. Terry Euper, a former clergy assistant to the Michigan bishop, are members of First United Methodist Church of Owosso. Other preparations for Euper have included attending two of Bishop David Bard’s listening sessions, reading emails and Facebook conversations, talking with other United Methodists, praying and attending meetings. “We are a global church and there are fears on both sides of the oceans,” Euper said. “When we attended a jurisdictional meeting this fall, the eye-opener for me was that in every one of our churches, there are people on both sides of the homosexual issue. People are fearful of us changing the Discipline. And then there are people who have struggled in their families and have decided it isn’t something to fear; they are welcoming and embracing it joyfully. “But the issue is not loving our neighbor whether they are gay or straight,” Euper said, “the issue is who has access to the pulpit. I hate for anyone to have to hold back and be in a closet. It is sinful that we would put them in that position. Over seven quadrennia as a delegate, Euper has spent hundreds of hours of preparation and attending meetings. “I see it as my calling. I think I’ve built a trust level with many people. No one tells me how to vote. I have a calling to be faithful and to be used where God can use me. Once you are involved in the wider church, it grows on you.